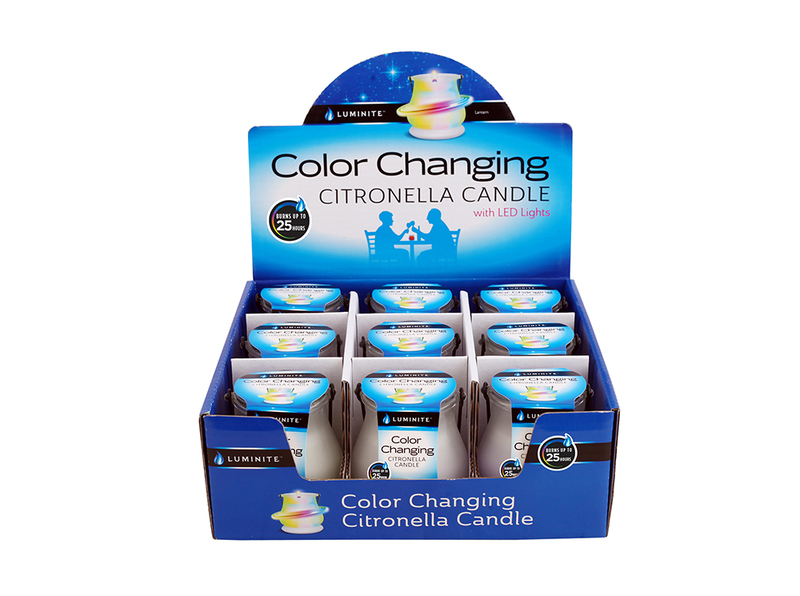 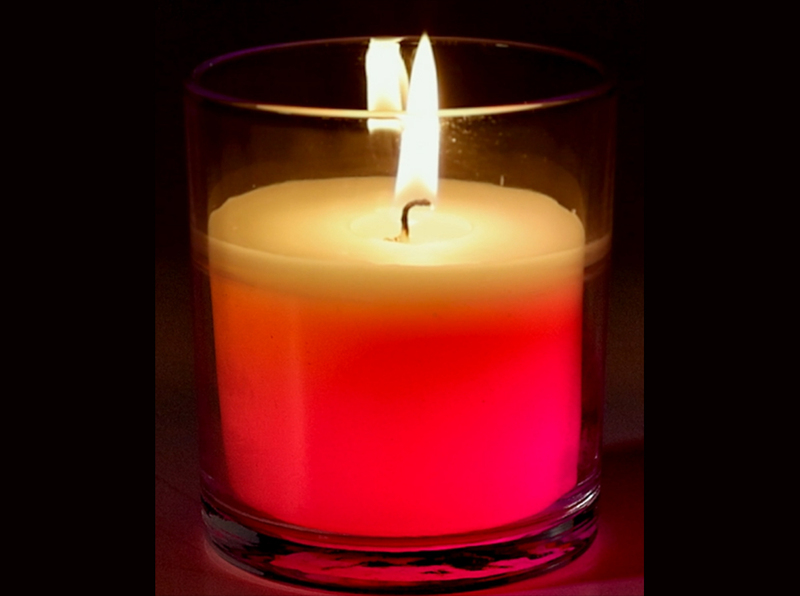 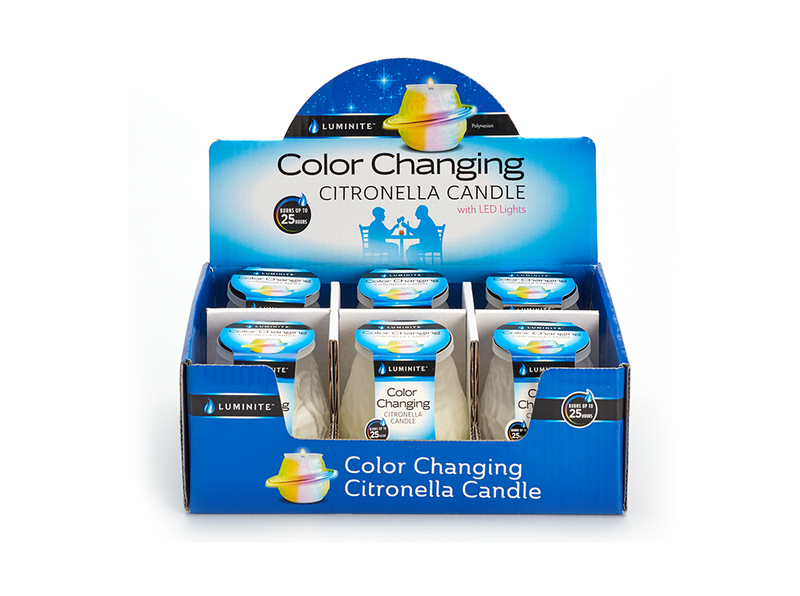 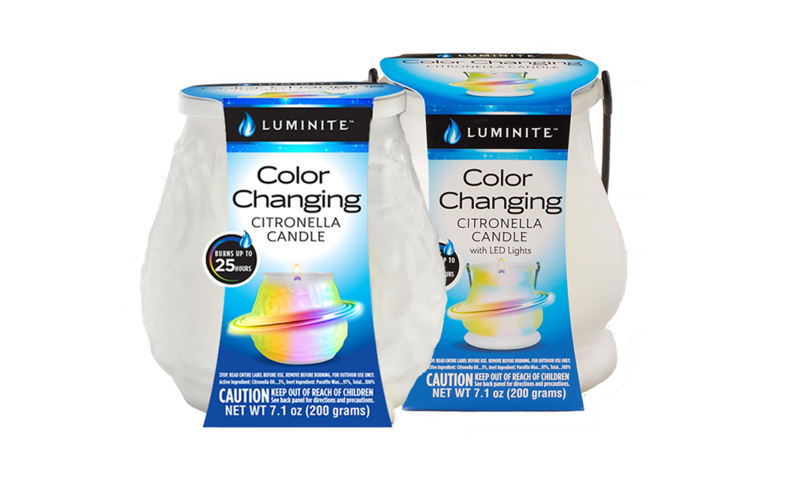 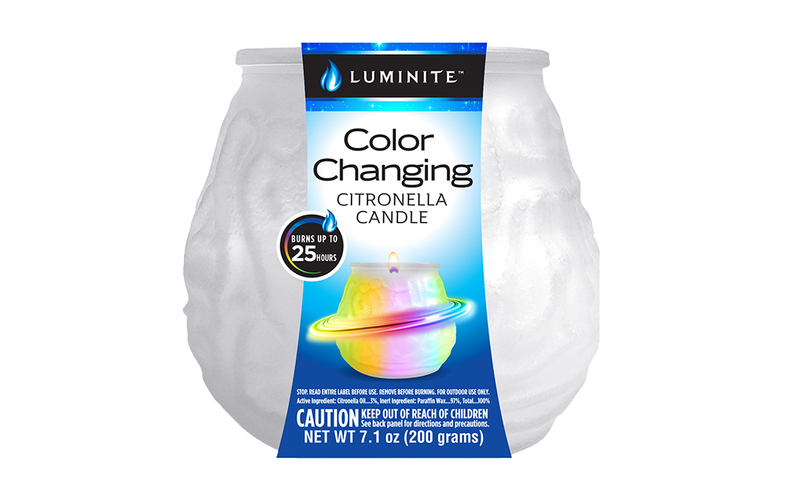 Luminite color changing citronella candles with LED lights illuminate your outdoor space with a soothing display of color. 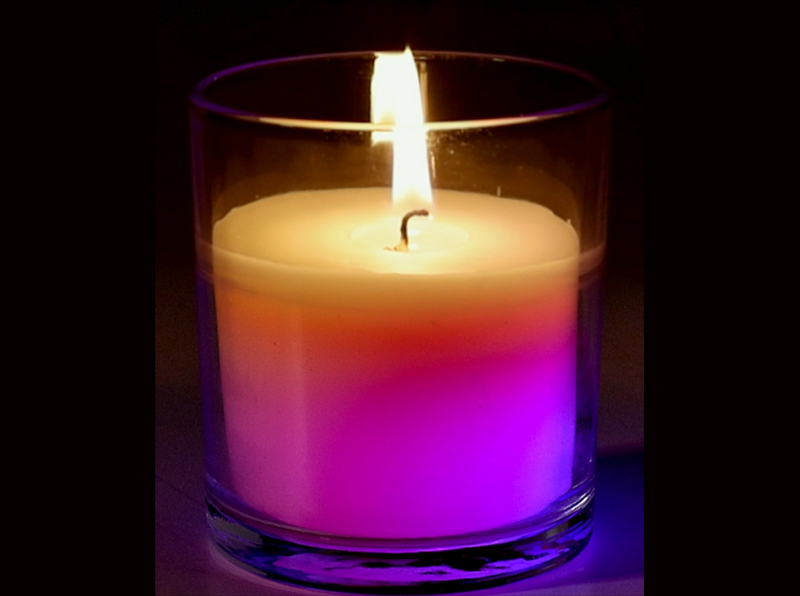 With the strike of a match, the stress and cares of the world are replaced by feelings of tranquility and relaxation. As the colors of the spectrum slowly turn in a choreographed dance of dazzling brilliance, the evening is yours to enjoy. 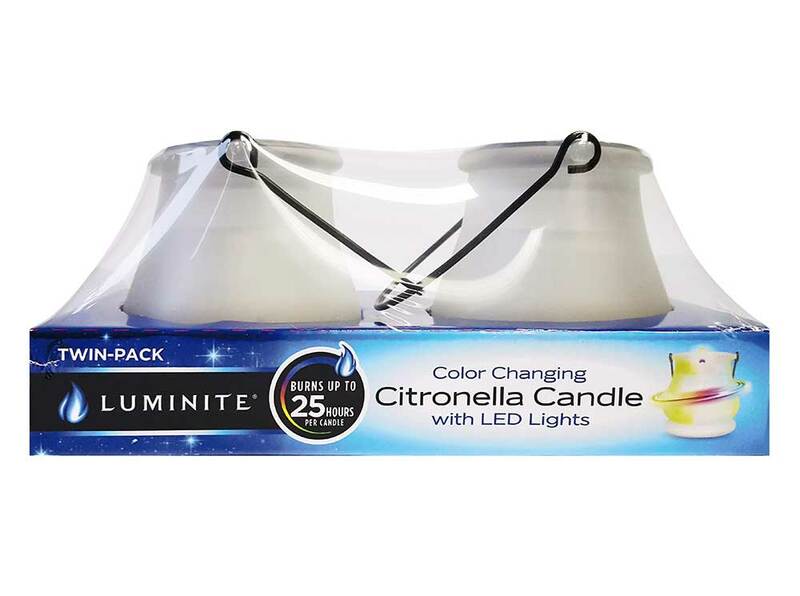 Made with citronella, the perfumed scent of the outdoors will bring you peace, and peace of mind that no uninvited guests disturb your day’s end plans. 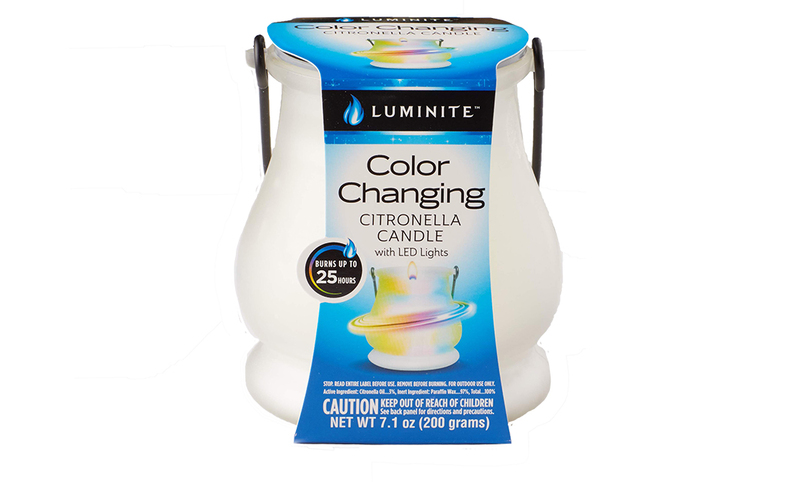 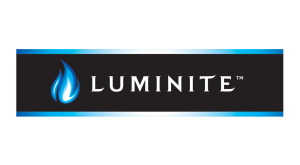 Discover a new way to light up your night with Luminite!